Suppose I am a notary who works near you. I call you and offer to provide my services to your clients for a few hours each week, at no cost to you or your clients. 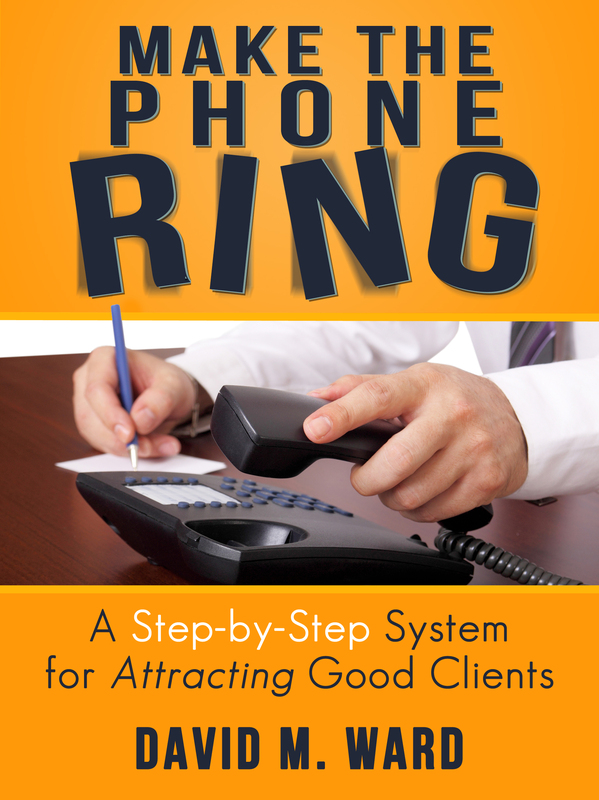 You can promote this as an added benefit to your clients. You can put “free notary services” in your advertising and on your website and attract more prospective clients. I’m willing to do it because it lets me introduce my services to lots of new clients. Okay, you like the idea but you’re not getting calls from notaries offering this. Well, you could ask someone in your office to take the class and become a notary, or you could do it yourself. That’s good, but how about thinking bigger? How about picking up the phone and calling some notaries, to see if they like the idea of getting some free exposure. Why is this better than doing it yourself? Because some of their notary clients will need legal services. Many real estate agents are notaries, and open to a bit of creative marketing. Or you might partner up with a real estate attorney who has a notary in the office (assuming you don’t compete with them). Accountants, escrow officers, mortgage brokers, and banks also have notaries. If free notary services doesn’t work for your practice, find something that does. Make a list of the types of professionals and small businesses that target the same clients you target. Contact them and see if they have a free or discounted service you could offer to your clients. Or a free consultation. Or free information. Then, see if you can do the same for their clients. You’ve heard it before: “All things being equal, clients prefer to hire attorneys they know, like, and trust”. You need all three but let’s take a minute and talk about “know”. In a sense, it is the easiest of the three because it is the simplest. The more people who know you, the more clients you are likely to get. Assuming you are reasonably likable and trustworthy, getting more people to know you is the 20% activity that brings you 80% of your results. Note that it’s not necessarily how many people you know, it’s how many people know you. How many recognize your name? How many people who go looking for an attorney will find you? One of the best ways to get more exposure is to leverage the contacts of influential people in your target market. Centers of interest in your community. Professionals, executives, business owners. People who run blogs and video channels. Authors, consultants, and sales people who write for, sell to, or advise people in your target market. They can give you direct referrals. They can publish your guest post on their blog or in their newsletter. They can interview you for their podcast or video channel. They can promote your seminar, become an affiliate for your book or course, and promote your free report to their subscribers. They can give you exposure to a large number of prospective clients. Even better, they can influence them to follow you and hire you. When they promote you, or even just mention you to their clients, readers, and contacts, they are impliedly endorsing you. That’s the best kind of exposure you can get. Do yourself a favor and get to know more people like that. Start by asking your existing professional contacts to introduce you to other professionals in their line of work. You still have work to do with these new contacts but the most important part is done. Thanks to your mutual friend, they now know you. They’ll take your call and reply to your email. You’re on your way to getting their contacts to know, like, and trust you. You don’t have time? What if you did? Okay, play a little game with me. You say you don’t have time to write a newsletter? Well, what if you did? What if your newsletter brought you five new clients every month? Take a moment to imagine what that would be like. Now, how long do you think it would take you to write a weekly email newsletter? 30 minutes a week? An hour? Let’s say you get paid $500 an hour. And let’s say a new client is worth $3,000 to you. So you would invest $2,000 per month writing your newsletter and bring in $15,000 in new business. Would that be worth it? Could you find the time to write a newsletter if it would increase your income by $12,000 per month? Numbers don’t work for you? Adjust them If you don’t think you could possibly bring in five new clients per month, how about two? You don’t earn $500 an hour? Okay, ratchet down the cost. An average client is worth $8,000 to you? Bump up the income side of the equation. When you do this exercise, you may realize that you can’t afford to not write a newsletter. Look at it another way–if you’re doing billable work instead of writing a newsletter, you’re losing money. So cut out a few hours of billable work if you have to, to make time for your newsletter. Or work an extra hour per week. Or how about this–hire someone to do most of the newsletter for you. Or hire someone to do some of the billable work you say is keeping you so busy. When you start with what’s possible (i.e., five new clients each month), it changes your perspective. Or at least it should. You don’t have time to do something? What if you did? If I ask you to name a lawyer you admire whom would that be? Maybe you admire their lawyering skills or their marketing acumen or the way they run their office. Maybe you know them and are impressed with their interpersonal skills. Write down the names of lawyers you would like to emulate and then set up a file for each. Add notes about what you see them doing. Study their website. Search for articles about them and add them to your file. Find their ads or marketing documents and add those, too. Study them so you can get ideas and inspiration and model their behavior. What do they do differently from other lawyers, including yourself? What do they do that other lawyers don’t? Study attorneys in your practice area and in other practice areas. 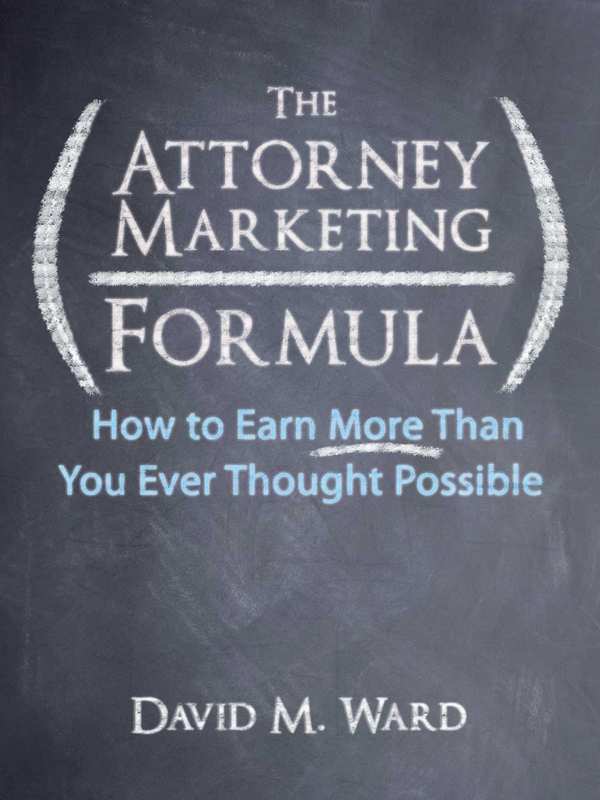 Study some attorneys for their marketing prowess, and others for their speaking or writing or courtroom skills. Find attorneys who are good at marketing online and digest their websites and blogs. How are they organized? What kind of content do they write? How often do they post? Study their headlines, bullet points, and calls to action. Do they publish a newsletter? Subscribe to it and see what they send to their list. Study their social media platforms. Observe how often the post and how they engage with their connections. 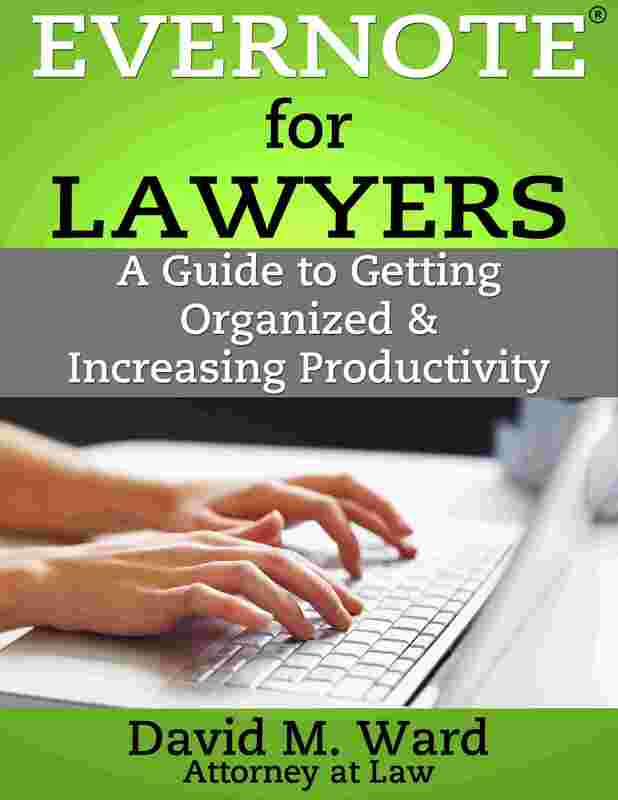 You might study another set of lawyers about how they manage their practice. Study their fees and billing and payment options. Study their office hours and parking policy. If you admire attorneys for their speaking and writing abilities, read what they write, find where they are speaking and show up to listen. To study trial lawyers, you might reach out to them, compliment them, and find out if you can attend their next trial. As you do this, no doubt you’ll get a lot of ideas. You’ll also find inspiration as you realize that you can do what they do. Don’t accept everything as gospel, however. They may be successful not because of what they do but in spite of it. The biggest benefit of this exercise is that you may find out how much you’re doing that is as good or better than what they do. You’ll be inspired to keep doing it, and someday, other lawyers will study you. I finally converted a Kindle book to paperback. It’s the same book, re-formatted and published on a different platform (CreateSpace), exposing my wares to paperback buyers, libraries and bookstores, and others. I plan to do the same thing with other ebooks. With very little effort, I am increasing my income. You can do the same. You already have marketing methods and channels that are working for you. Why not explore ways to extend what’s already working for you into different channels or markets, or increase your exposure in existing markets? For example, you already get referrals from other lawyers, right? 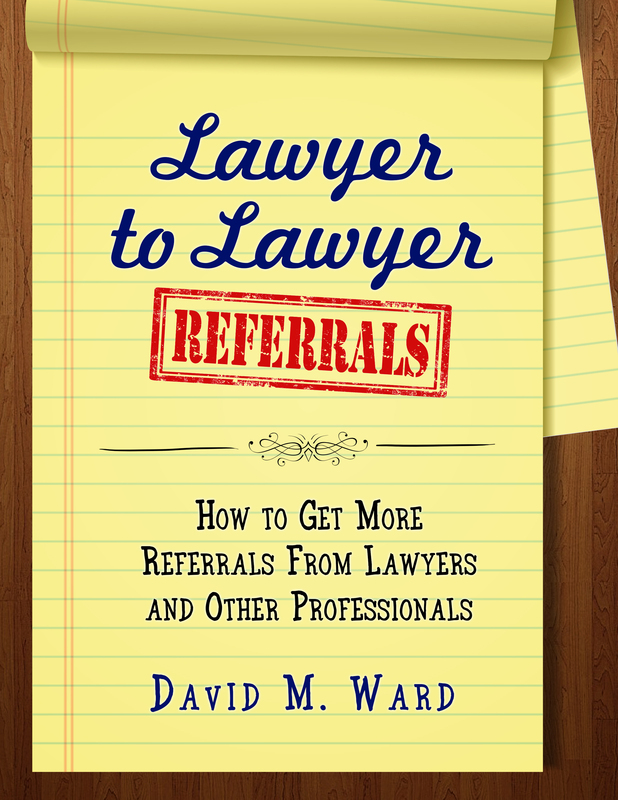 A simple way to get more clients is to find more lawyers who can and will send you referrals. 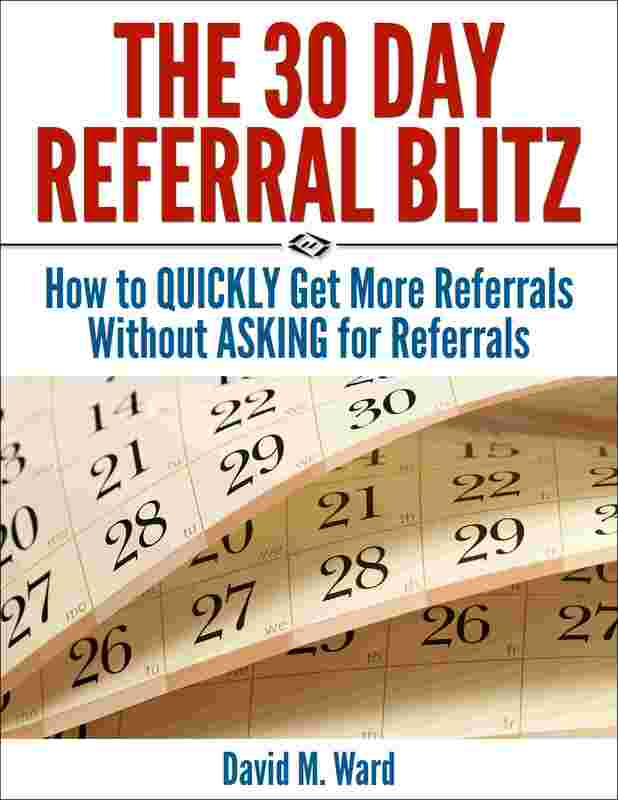 (My Lawyer to Lawyer Referrals course shows you how to do that). And so on. Maybe even more bookstores to sell your books. It’s called working smarter. It’s called leverage. Taking something that’s already working and finding ways to make it work harder. So you don’t have to. I love keeping things simple. But simplicity for simplicity’s sake is a foolish economy if it results in fewer or poorer results. “Leverage” means getting MORE results with less effort, or at least more results with the same effort. A marketing guy I follow echoed my philosophy when he said, “I’d rather have four quarters than 100 pennies”. He was talking about the value of having fewer but better clients. 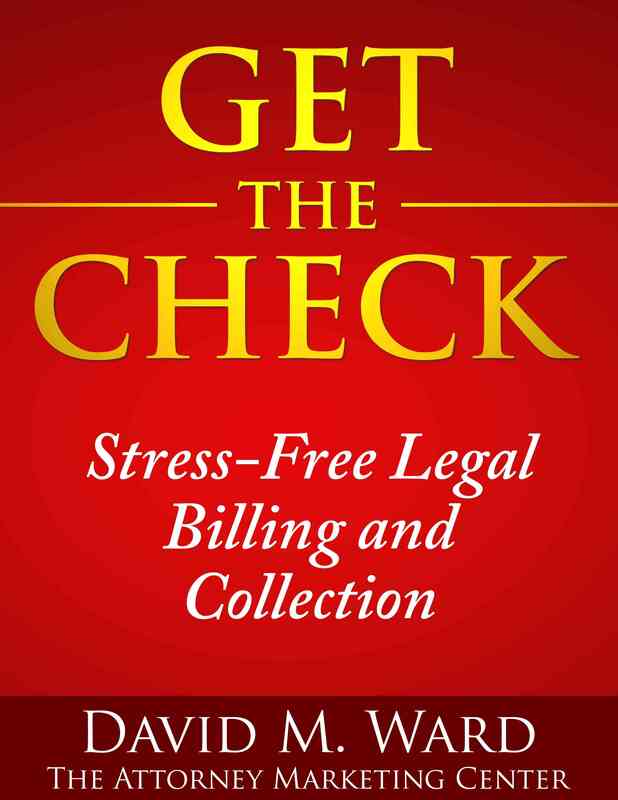 Fewer clients with bigger cases, or fewer clients who have more work for you and are willing and able to pay higher fees. Fewer but better clients means you have fewer hands to hold, problems to solve, and fires to put out. It means you can spend more time and more money bringing in new clients and keeping them happy. It means you can earn more income with less effort. That’s why I talk about letting the mass market of lawyers handle the mass market of clients, while you focus on the upper crust. Let everyone else fight over the scraps while you feast on the steak. Unless you are especially well funded or daring, you probably won’t be able to do this immediately. But you can immediately state this as your objective and start working in that direction. When you make it your intent to transition your practice to better clients, you start looking at the universe of clients differently. You make changes to your ads and marketing documents and websites, you start networking with a different crowd, and you do other things that affirm the new direction of your practice. Eventually, you will embrace this new paradigm and make bigger changes. You eliminate marginal practice areas, for example, and focus on one or two. You might cut down on marketing channels or techniques and focus on the ones that are better suited to the practice you are trying to create. You may be nervous about some of these changes. I know I was when I started turning down business. There’s a big void in your file drawer when you no longer handle anything that shows up, but if your experience is anything like mine was, you will quickly fill that void with new and better clients. Then, one day, you’ll get your first “quarter”–a big case or client–and you’ll realize that if you can get one, you can get more. And that’s when everything will change.